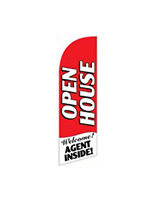 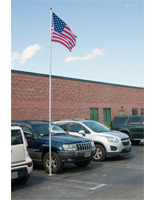 These aluminum flagpole systems stand 20' tall with a ground mount style and a gold ball finial topper. 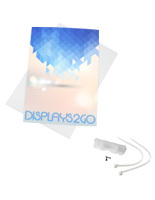 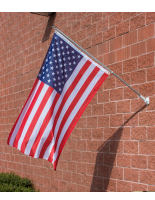 This fixture displays 3' x 5' American banner plus an additional sports or military banner via the double hook design. 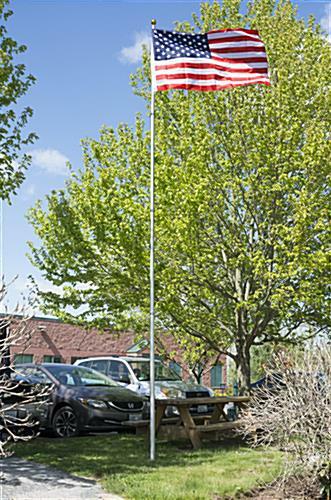 These flagpole systems are typically seen outdoors on school or businesses grounds. 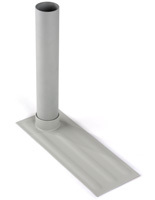 Buy these telescoping stands constructed of aluminum and secure them with the included cam locks. 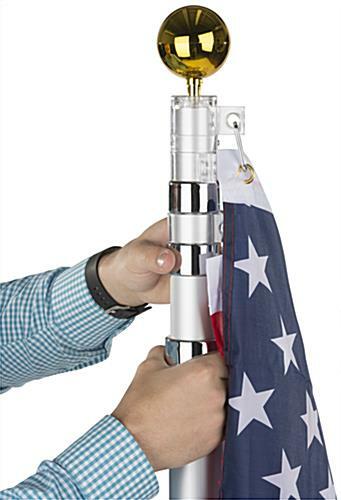 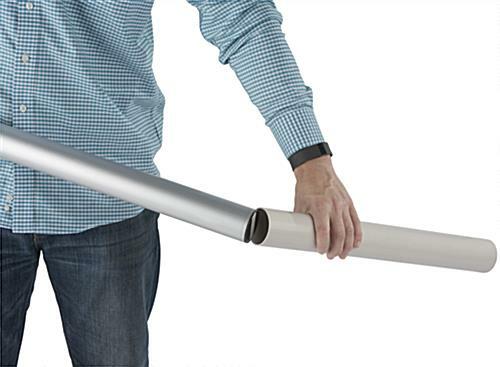 Mount these flagpole systems using the PVC sleeve and following the instructions for easy DIY installation.